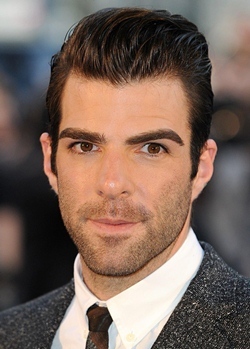 Zachary Jon Quinto is an American actor and film producer born on June 2, 1977. Zachary graduated from Central Catholic High School in 1995, where he used to participate in their musicals and won the Gene Kelly Award for Best Supporting Actor. Later on, he attended Carnegie Mellon University’s School of Drama from which he graduated in 1999. Quinto began his career on television in the short-lived television series The Others and afterwards appeared as a guest star on several shows including Six Feet under, CSI and L.A. Dragnet. Soon after, he received a recurring role as Adam Kaufman on the Fox series 24. In 2006, Zachary starred in the VH1 series So No TORIous and later that year appeared as Gabriel Gray in the series Heroes. Upcoming year brought more success to him and he performed the character of pock in the box office hit film Star Trek and reprised the role in all its sequels. Since then, Quinto performed variety of roles in numerous films and television shows such as Hitman: Agent 47, Snowden, American Horror Story: Asylum and The Slap. Throughout his career, he was honored with several accolades and nominations including Teen Choice Award, Theatre World Award and Gene Kelly Award. Coming towards his personal life, Zachary Quinto dated actor Jonathan Groff but in 2013 it was reported that they has broken up. Since 2013 he has been in a relationship with model and artist Miles McMillan. 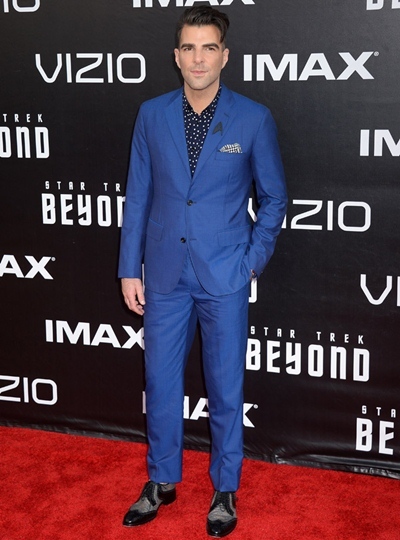 Check the complete information about actor Zachary Quinto body measurements such as his weight, height, chest, waist, biceps and shoe size. His nick name is ZQ and Zach. In 2011, Quinto publicly revealed that he is gay. He is best known for his role as Spock in the film Star Trek.